MANTRA Fashions, Dharampeth, the exclusive brand store of Jinaam, Mumbai and other leading designer brands, has put on display new ethnic collections for men and kids (boys). The store offers sherwanis, Indo-Westerns in latest cuts and regular designs, Nawabi, coat suits, Jodhpuri suits, Modi jackets, blazers, Pathani sets, kurta sets in traditional, cottons, Linens, etc. for men and kids. Sizes from small to 5 XL are available. Also make to order facility is available in selected patterns. 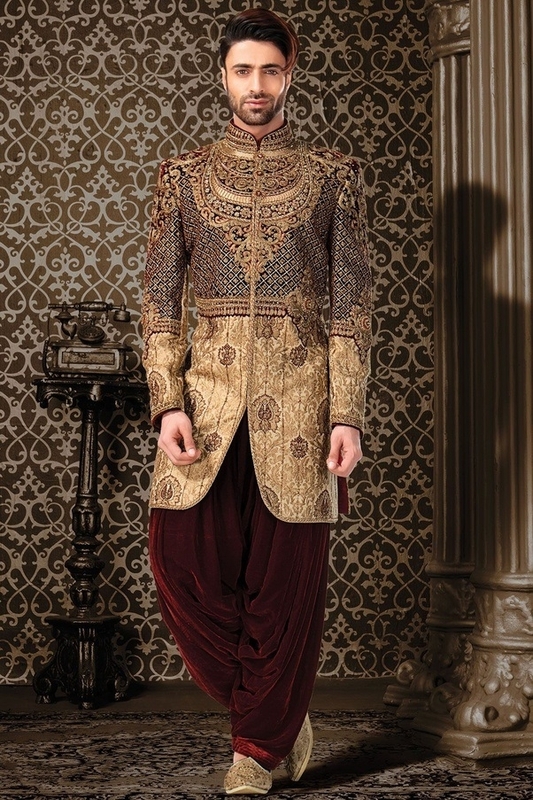 The store has accessories for grooms like mojdi, dupattas, safa, mala, dhoti, Peshawari, etc. Discounts and free purchase scheme are available on select items. The shop is open on all days throughout the year from 11 am to 9 pm. Parking facility is also available at nearby Basketball ground, Dharampeth extension, Shivajinagar. Mantra Fashions (Jinaam) exclusive showroom is situated in lane opposite to Batukbhai Jewellers near Chawhan Traders, Dharampeth, (Ph: 0712-2522175).